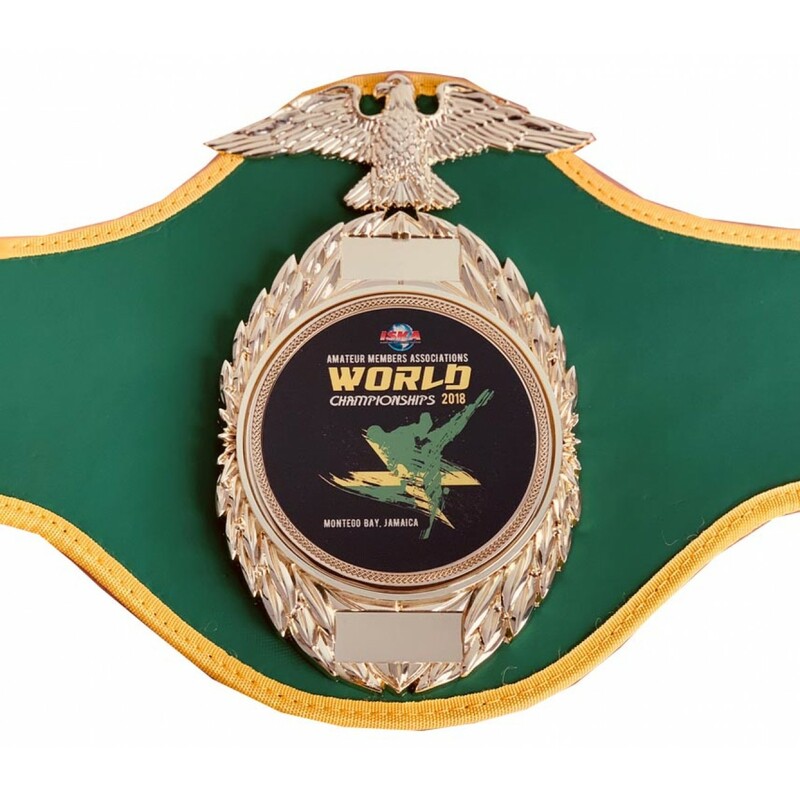 A limited edition ISKA Amateur World Championship title belt, available only to attendees of the Amateur ISKA 2018 World Championship held in Jamaica. Make your belt extra special by engraving your name as a memory of the event. Engraving is included in the price. All prices exclude VAT. Delivery lead-time is 10-15 working days from placing your order, depending on delivery location.